The perfect experience for building websites? Time to Get Online Ltd is run by David Hall who brings a perfect blend of technical, business and visual skills to make your web project successful. The Time to Get Online philosophy is simple. We provide well crafted, elegant and effective websites at an affordable fixed price. 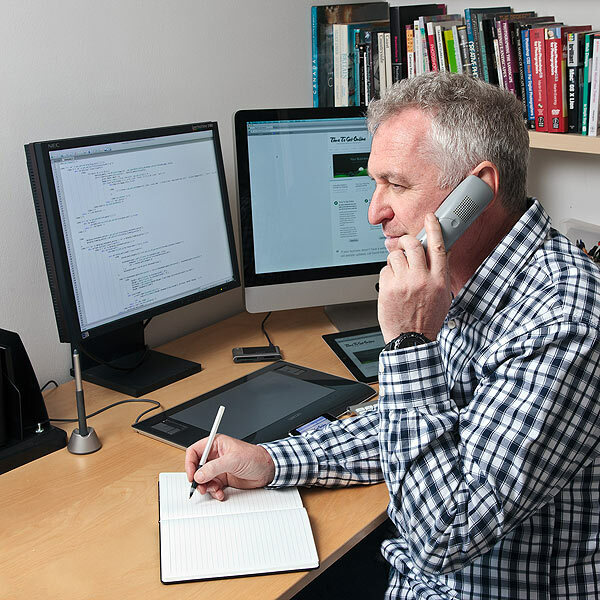 Next time you have web development or web photography project – give David Hall at Time to Get Online a call on 01666 577581. I’ve been using graphics software for over 20 years, designing for both screen and print. I will work with you to develop a compelling visual style for your site that reflects your business positioning and values. I have extensive marketing and sales experience – so can help to define and present your message to your target market. The websites I produce all work as hard as they can to increase your business. I also know my way around a camera and have full studio facilities – which means I can shoot, source and optimise new images for your website – people, products or locations.